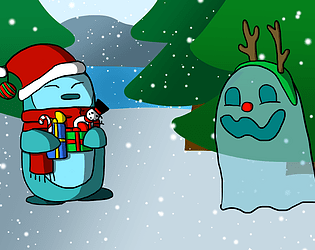 Help the penguin collect his presents and decorations while avoiding ghosts! I love the animation of the penguin, good game! Nice little game! Love the artwork! Also, another bug didn't let me jump even if I was on the ground. I guess the game thought I was still jumping and didn't let me jump again.